The history of the Fukienese White Crane Kung Fu has been passed down from master to student (father to son) for five generations. Although various accounts do exist, they all tell a similar tale. 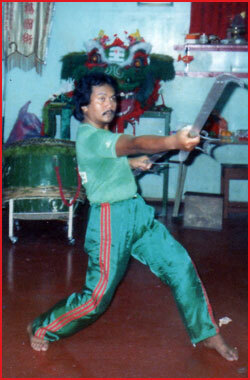 The history of White Crane Kung Fu as passed down within the Lee family is presented below. Fang Chi-Niang was born in Lei Chow Fu in the middle of the 18th century. Her father's name was Fang Hui Sz and her mother's name was Lee Pik Liung. 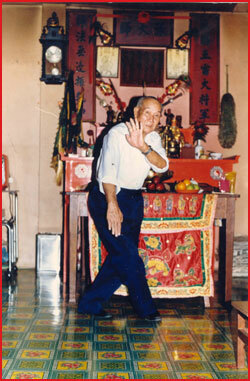 Fang Hui Sz studied Kung Fu in the Shaolin temple at Nine Lotus Mountain, Ching Chiang district, Fukien (modern day Fujian) province. His wife and daughter lived at Lei Chow Fu. Since they were victimized by local landlords, it was decided to move away from the village. Eventually, they settled down in Ching Chu temple, on Ching Chea Mountain (Lei Chow Fu). One day, as Fang Chi-Niang was drying grain in front of the temple, she saw a huge crane come down from the roof and begin to eat. She decided to use a bamboo stick to chase away the intruder. Fang Chi-Niang was both curious and fearful of the crane. At first, she tried to strike its head but the bird was evasive. Then she attempted to hit the crane's wings but it stepped to the side and used its claw to block the attack. 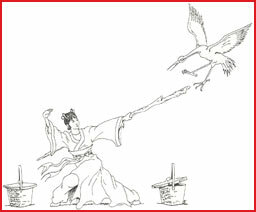 When Fang Chi-Niang tried to poke the bird's body with her staff, it moved back and used its beak to peck the bamboo. Fang Chi-Niang was surprised. She continued to use the techniques her father had taught her but her efforts were completely unsuccessful. Astonished by the crane's skill, Fang Chi-Niang sought to practice with it on a daily basis. Fortunately, the crane obliged. This permitted Fang Chi-Niang to analyze and absorb the bird's self-defense strategies. Eventually, she mastered the movements and spirit of the crane. Fukien White Crane Kung Fu is continuing to thrive, thanks to the enlightened thinking of one of its foremost proponents. Third-generation Grand-Master Lee Kiang-Ke was the single most influential person responsible for the preservation and dissemination of the flying crane system of Fukien White Crane. His choice to open to the public what had previously been a closed-door system ensured the survival of a most complete and devastating Chinese martial art system.